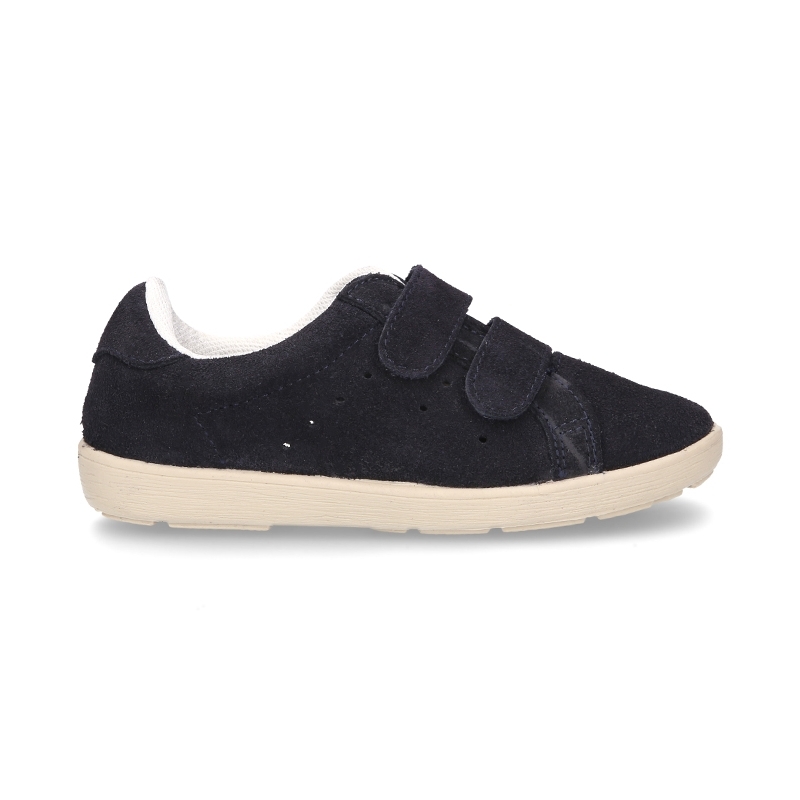 Okaaspain, tienda online de zapatillas casual para vestir en piel serraje con doble velcro para niños. 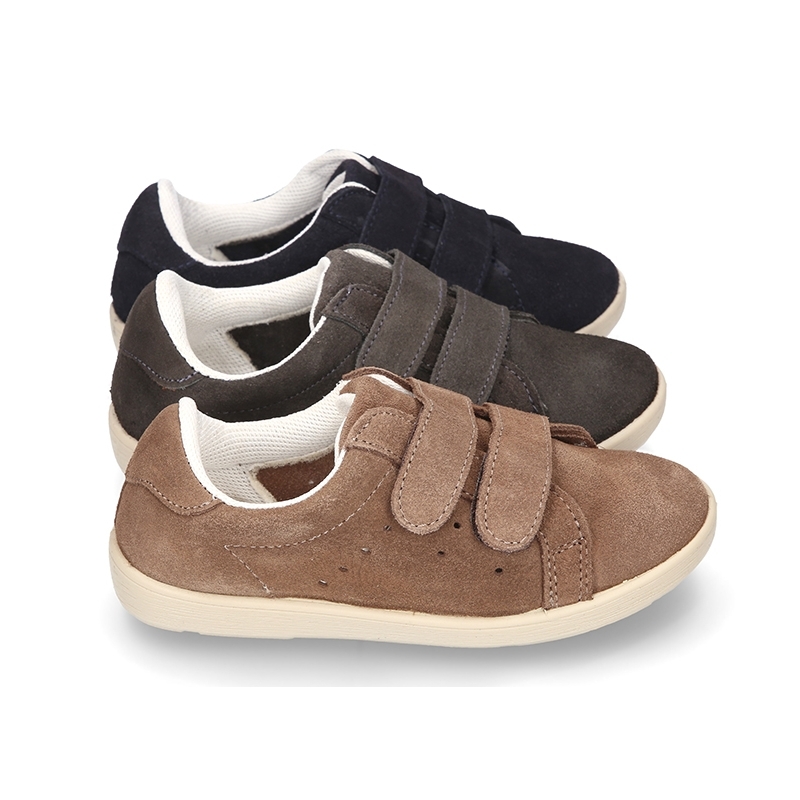 > Toddler Boy >Sneakers>New Casual tennis shoes with double velcro strap in suede leather. 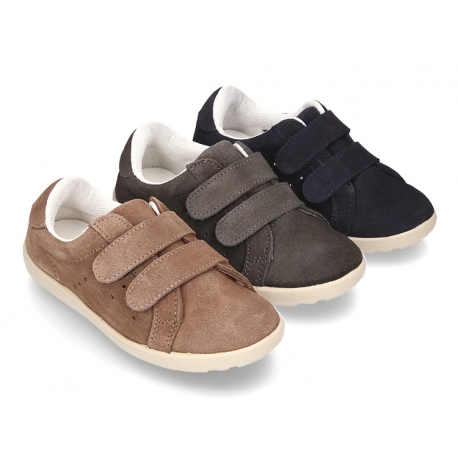 New Casual tennis shoes with double velcro strap in suede leather. 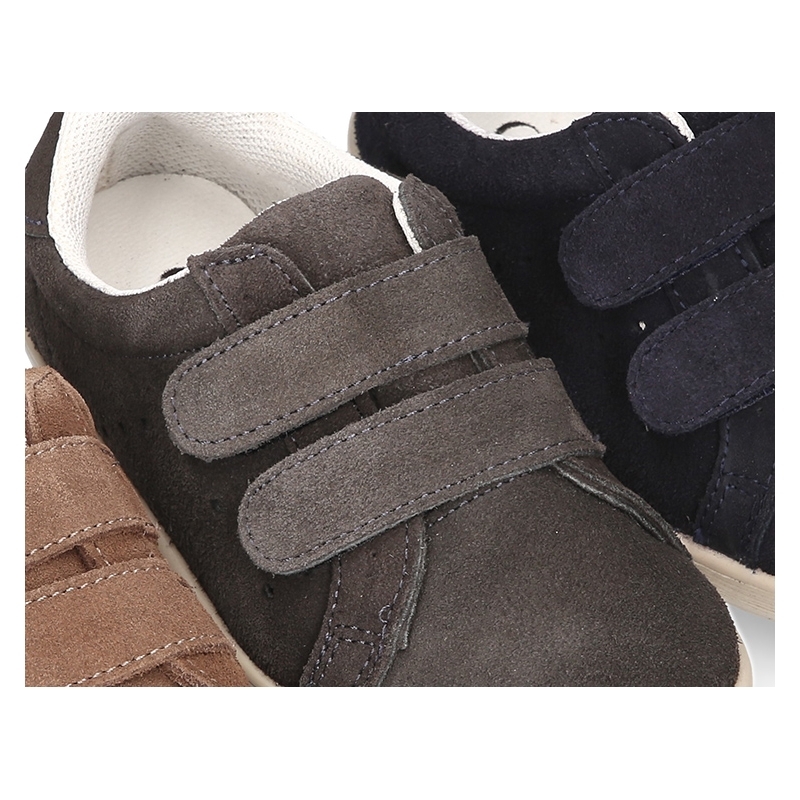 New suede leather casual tennis shoes to dress with double velcro strap closure for kids. 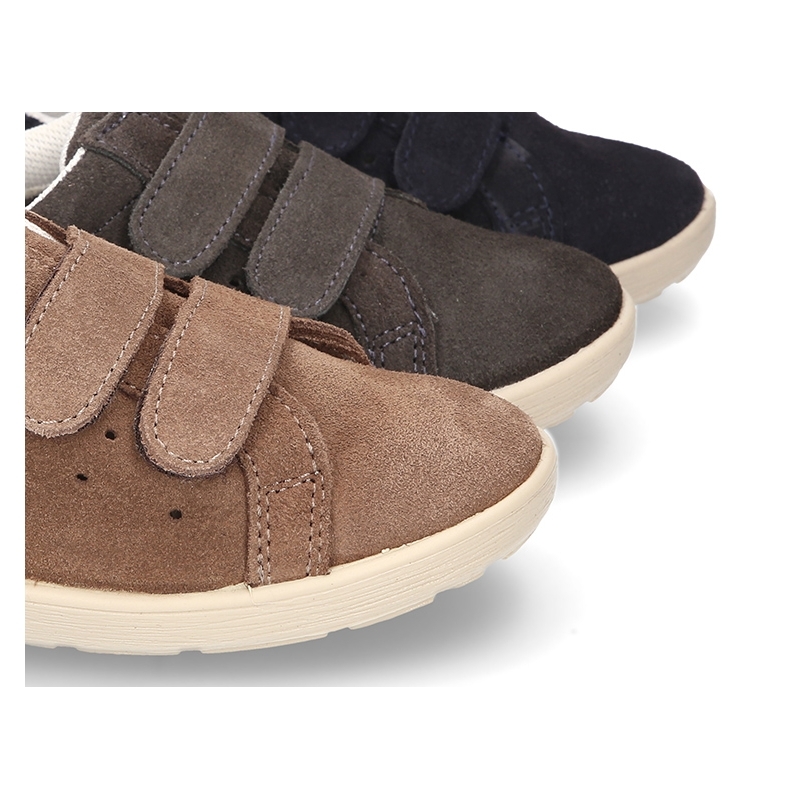 More info about New Casual tennis shoes with double velcro strap in suede leather. 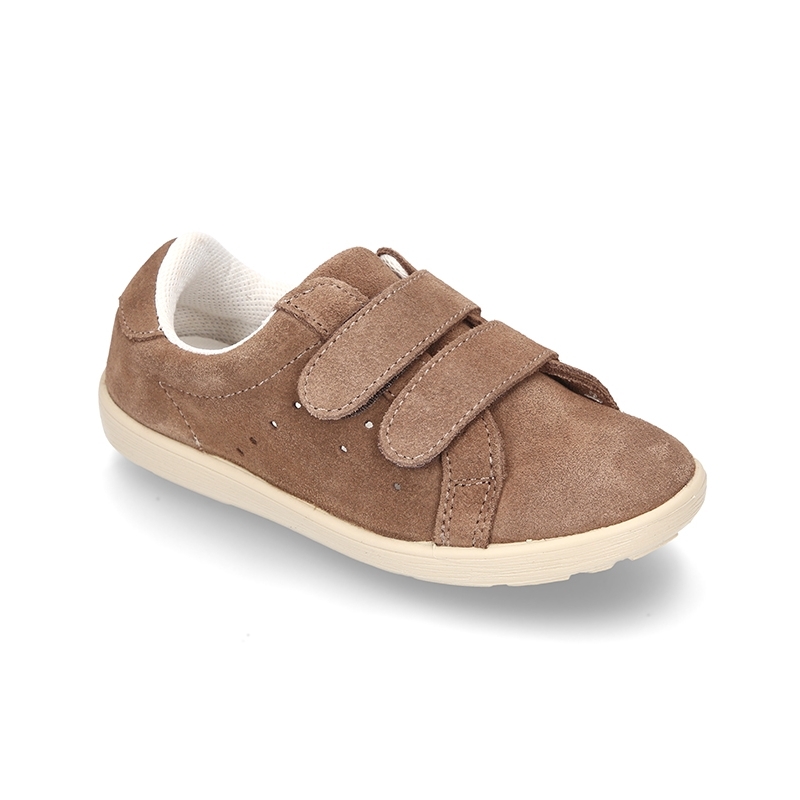 New Casual suede leather Tennis shoes to dress with double velcro strap closure for kids. 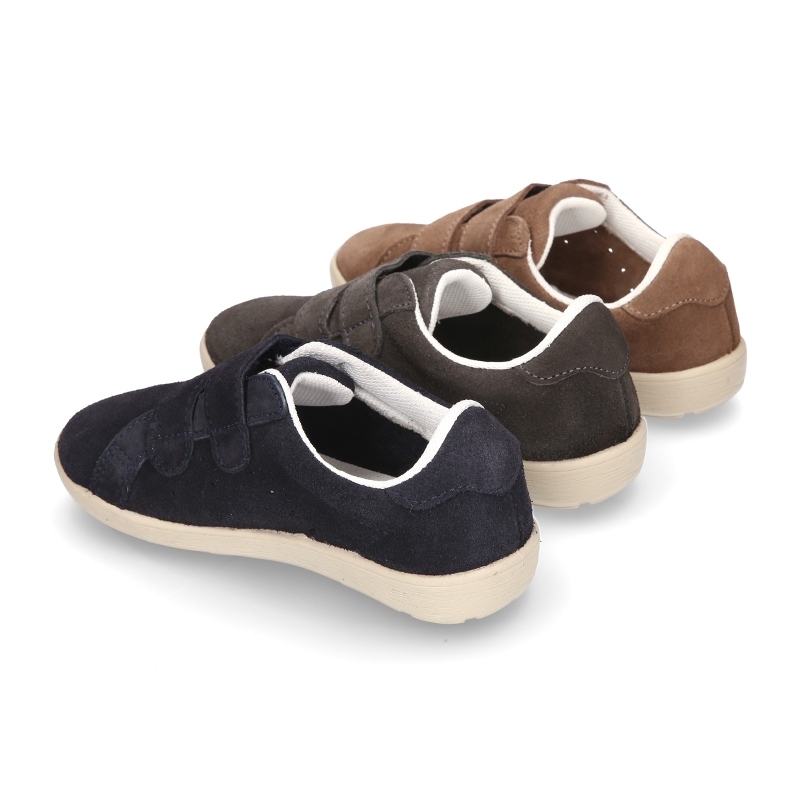 Made up of 100% natural suede leather with high quality finishes. Perfect model to mix and match with all their looks this autumn-winter. 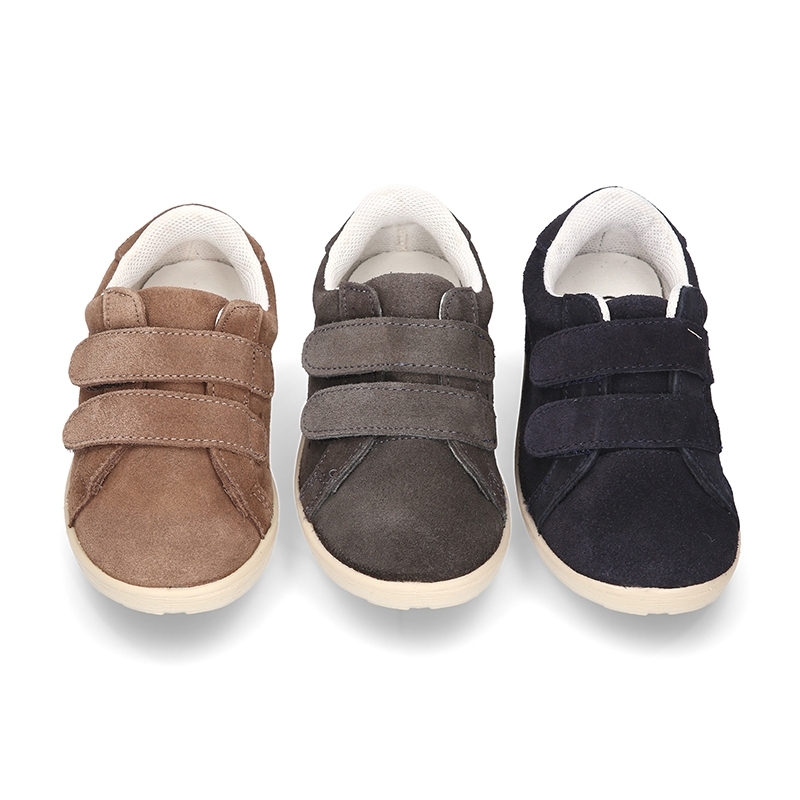 Casual tennis shoes to dress are the latest in all kids collections. Very elegant and differents. 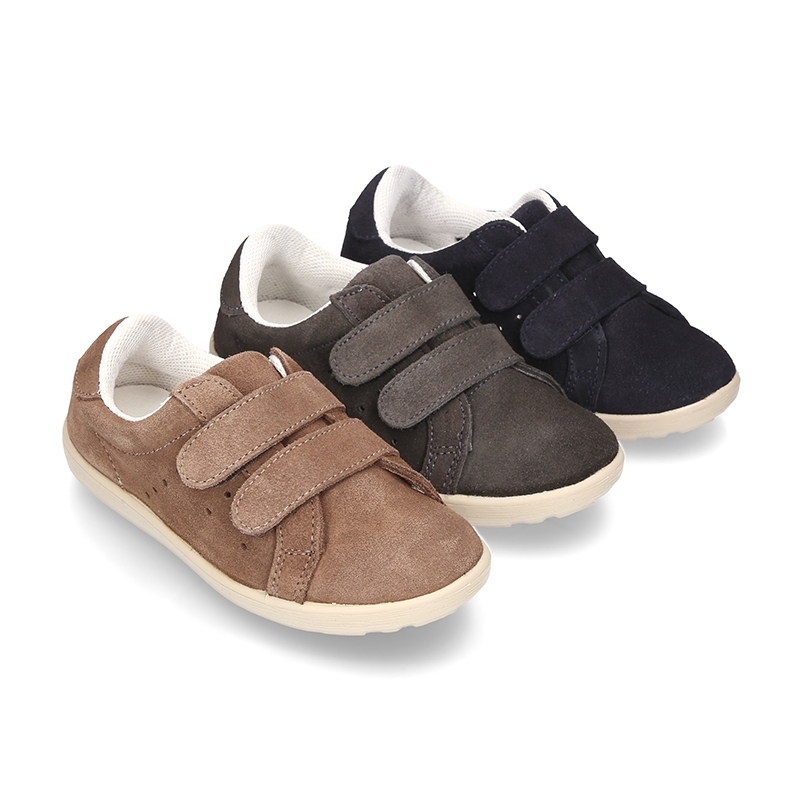 With double velcro strap closure for a better comfort and adaptability to any contorn feet. Fully lined in leather an cotton textile, and with padded footbed and perforated for a good perspiration of their feet. 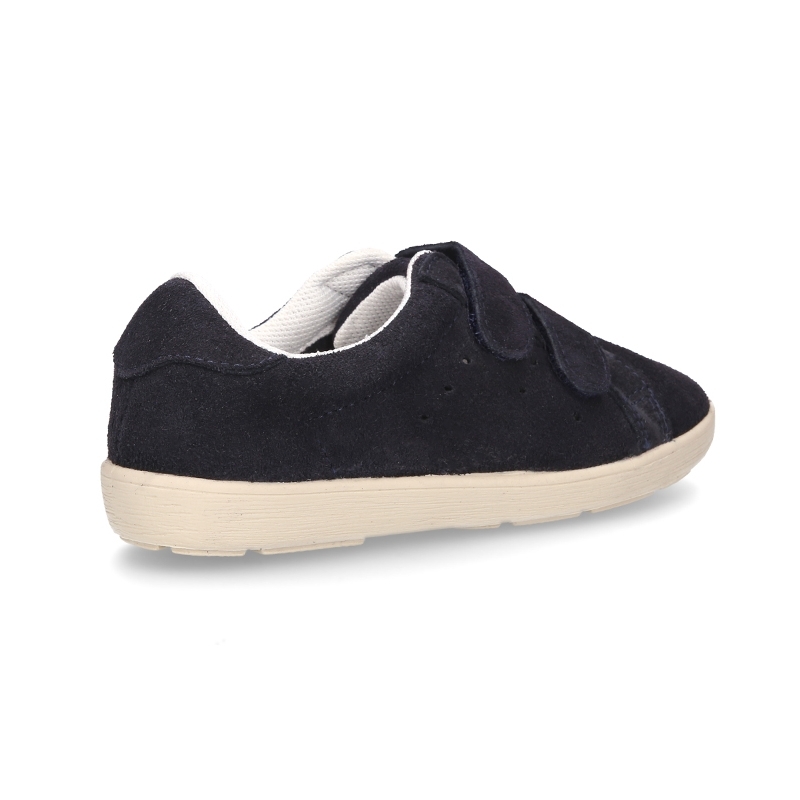 With padded counter for a better comfort. 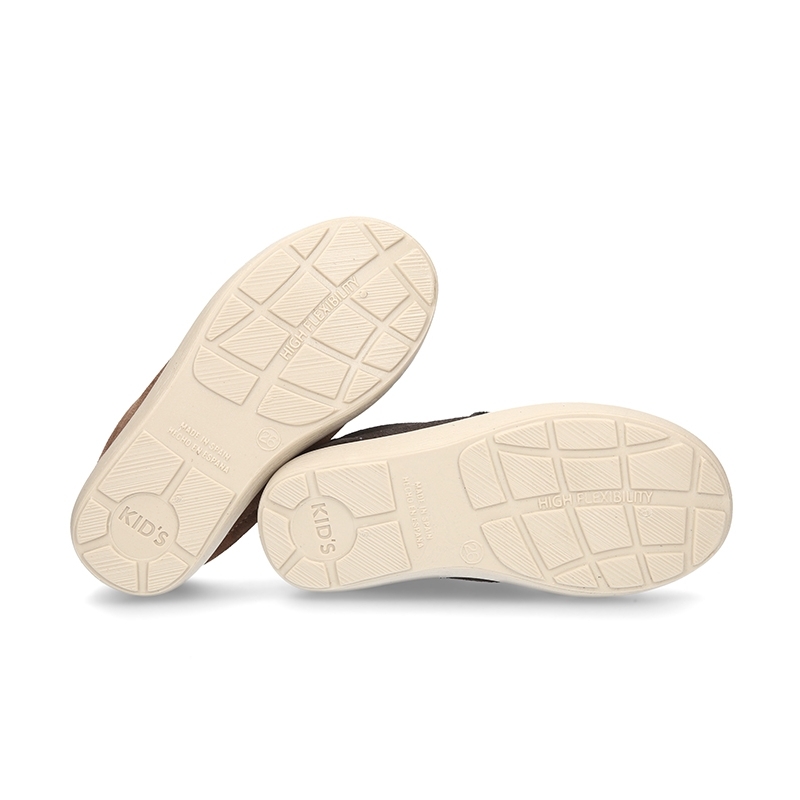 Tennis outsole style in 100% non slip high quality rubber, and totally flexible in order they can play without any problems. Available in 3 colors. 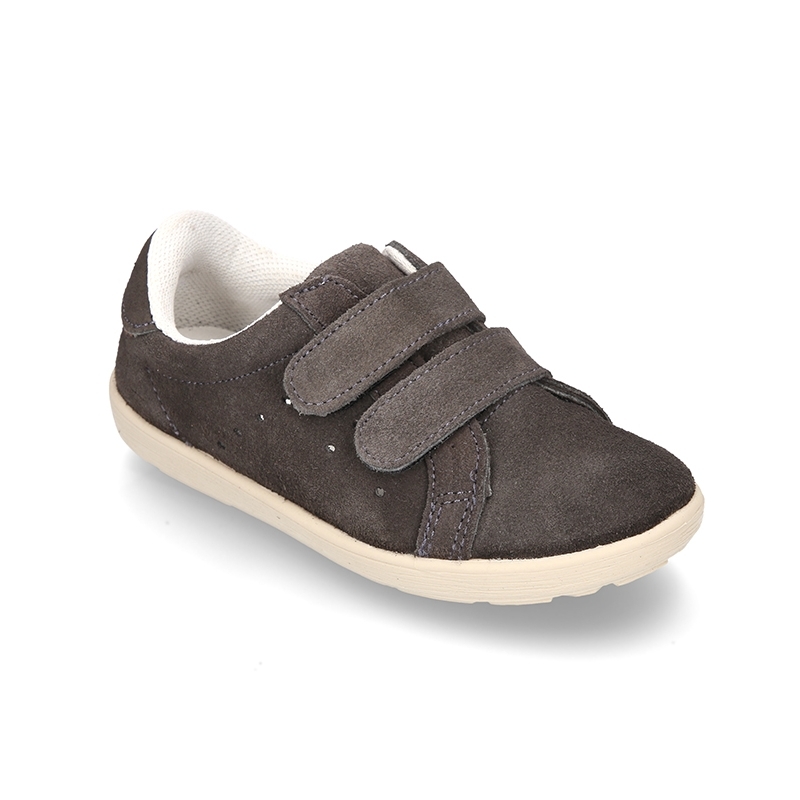 Sizes range: from 25 Euro size up to 38 Euro Size. SIZING SMALL, we reccomend to choose a bigger size to regular one. 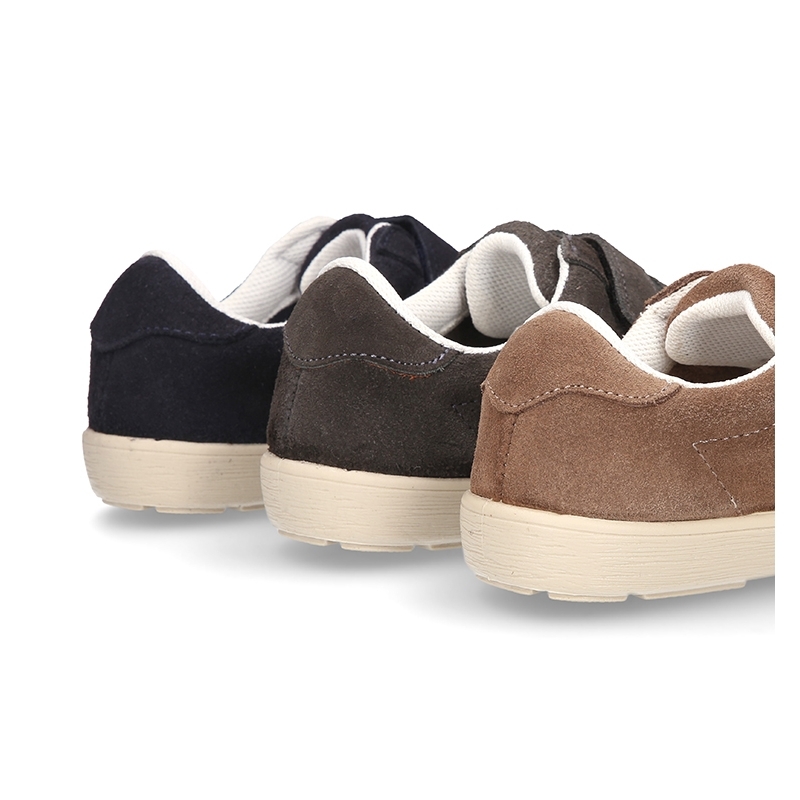 Data sheet about New Casual tennis shoes with double velcro strap in suede leather.